CALYPSO sailed by Ian Pride and Ray Simich with a third team sailing a borrowed boat helmed by Ron Watson with Phillip MacRae, from Rotorua as forward hand. The deciding race was between Atua-Hau and Calypso, however the rudder pintails on Calypso carried away so Ray Simich went over the stern and used his body to steer the boat like a rudder to enable them to finish the race in what was an amazing performance. Geoff Smale won the trophy against the British and the Canadians, all of whom had been sailing the 14ft International class since 1928. 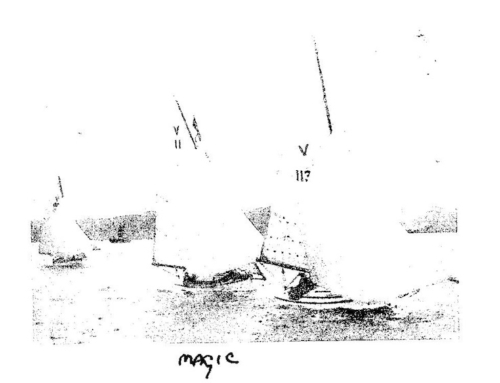 At times during the series the New Zealand boats were ahead of the fleet by up to three minutes. This was a clear indication of the dominance of our representatives. The above recollections were forwarded by Ian McRobie, a member of the archive Group, and were prompted by the receipt of the “Ngaroma Trophy” which was recently handed to the Archive Committee. It was engraved as having been won by Atua-Hau in 1957 for competition by what was the then new 14ft International class in New Zealand. 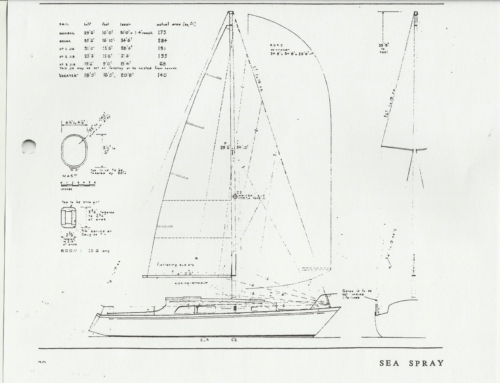 The donor was Captain Jim A Lawler,1956 Commodore of Royal Akarana Yacht Club and skipper of the fairmile “Ngaroma”, Capt. Lawler will be remembered by older members for his generosity in making his boat available as a mother ship for Blue Water Ocean Races and as transport for “P” class boats and skippers to allow them to compete in the annual Kawau weekend regattas. Great to see this history living within the club in this modern age.